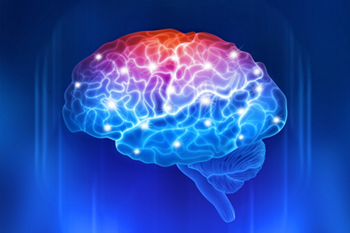 Brain biology is a particularly important subject involved in numerous human maladies. Diseases of the brain, collectively called neurological diseases, can have widespread psychological and biological effects, causing harm to the diseased person and potentially others. Unfortunately, due to the invasive nature of brain biopsy collection, the use of brain tissue specimens is quite prohibitive for the identification of biomarkers for disease stratification. Serum neurological disease biomarkers are much more promising, but have proven elusive. The notable exception being serum Tau levels for early Alzheimer’s detection. Otherwise, neurological disease biomarkers generally revolve around samples taken spinal punctures or brains and spinal cord tissue samples taken postmortem. The limited supply of these sample materials has hampered the ability of current technologies to define novel biomarkers for neurological conditions, in particular for Alzheimer’s and Parkinson’s diseases, complex spectrum disorders such as autism, and neuroinflammation in general. Recent advances in the field of multiplex cytokine detection now allow for a broad and global view of protein expression in neurological samples in limited supply. Now, rather than being limited to the detection of a handful of proteins, multiplex cytokine arrays offer 20 targets or more, requiring the same amount of sample previously required to detect a single target. Originally developed for non-invasive sample types like serum and plasma, these arrays have now been validated and published with CSF samples, brain tissue lysates, spinal cord samples, as well as numerous in vitro neurological sample types. RayBiotech’s Neuro Discovery arrays are designed to gather multiple neurologically relevant cytokines together into a broad panel. Covering cytokines involved in cellular communication, inflammation, growth factors and more, our Neuro Discovery Arrays will allow you to maximize your screening of potentially important biomarkers while minimizing the consumption of precious and limited sample supplies.